Without him you would not have known how to change a flat tire, nor the difference between a socket wrench and a ratchet wrench. His insights on sports led you to your favorite team. He's always been there with a helping hand and now with the approach of Father's Day on Sunday, June 19th, take the time to give back to him. Stay ahead of the curve, mail those cards and plan now. Spoil the amazing man that has guided you through your life. 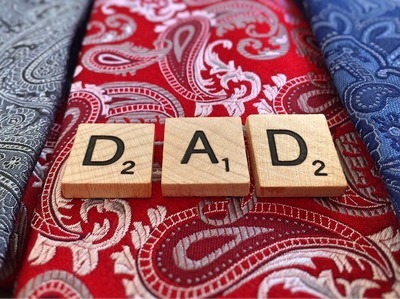 Father's Day is a time to set aside everything else and devote the day to your dear dad. If you are not a golfer but your dad is, take some time to share his favorite pastime. Go on a hike, a brewery tour, concert, camping trip or lunch at his favorite restaurant. Celebrate everything your dad has taught you, and also create something new and memorable with him on this very special day. Sometimes we need to share Father's Day with Dad and also brothers, uncles, godfathers, grandfathers, stepfathers and others. Host a celebration for your loved ones for maximum time with your favorite people. Mother's Day is famous for brunch. On Father's day host a BBQ, cookout or inclusive celebration. For some, Father's Day is difficult as fathers have passed or may have been absent. Consider using this time as an opportunity to show appreciation for the male mentors in your life. A father figure is more than biological, and can be a role model, leader or inspirational man who helped shape your world. A national survey of the average American's major life regrets highlighted that one of the biggest regrets is not spending more time with parents. Use this day to express how much your father has meant to you over the years. Communicate your gratitude, care and love during this time with him. Gifts for dads can range greatly depending on your father's interests. Consider the three P's to guide your gift giving: Practical, Personalized, and Perfect. Start preparing now to plan the best Father's Day this year and check back in with us for more gift-giving tips, tricks and ideas. Sharon Schweitzer, J.D., is a cross-cultural consultant, an international protocol expert and the founder of Protocol & Etiquette Worldwide. She is accredited in intercultural management, is the resident etiquette expert for CBS KEYE We Are Austin, popular on-air contributor, regularly quoted by BBC Capital, Investor's Business Daily, Fortune, Inc., The New York Times, The Vancouver Sun, and numerous other media. She is the best-selling, international award-winning author of Access to Asia: Your Multicultural Business Guide, named to Kirkus Review's Best Books of 2015.